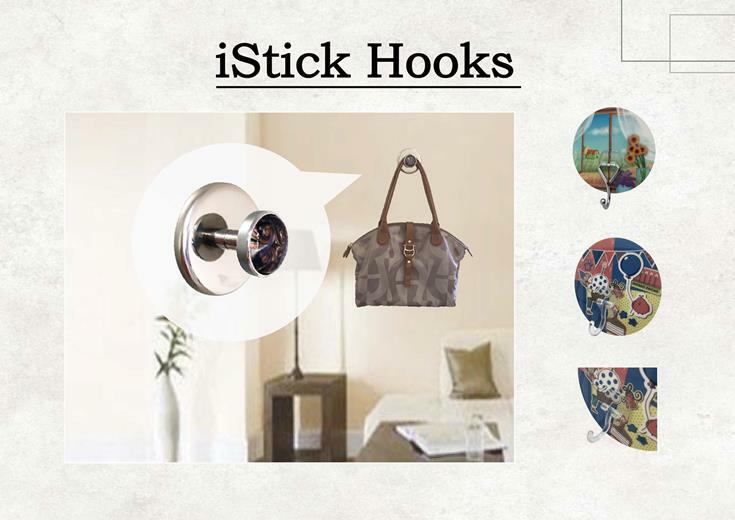 Our iStick Hooks hold strongly and remove cleanly. An ideal solution for quickly and easily tidying and organising your home and office, use iStick Hooks to hang your coats and bags anywhere, keep your towels tidy and stay in control of your kitchen. With such versatility, you’ll find a use for them in every room, and when you want to rearrange, remove the hooks with no damage to the surface underneath. No cracks, holes, damaged plaster or sticky residue. Find out more about the product information under our product category i-Stick Series.